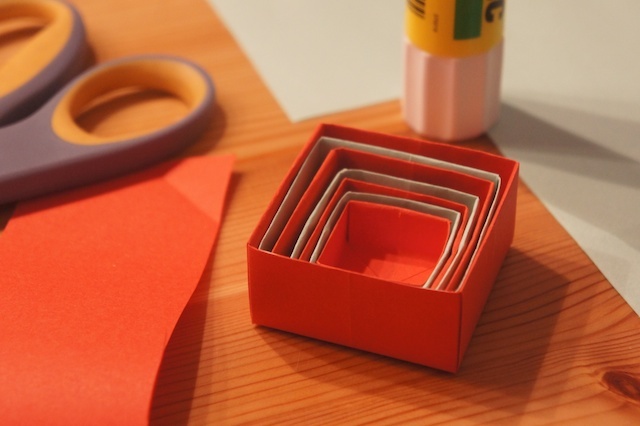 Day 5 – Today I made some origami boxes. Each box is slightly smaller making them able to stack inside of each other. 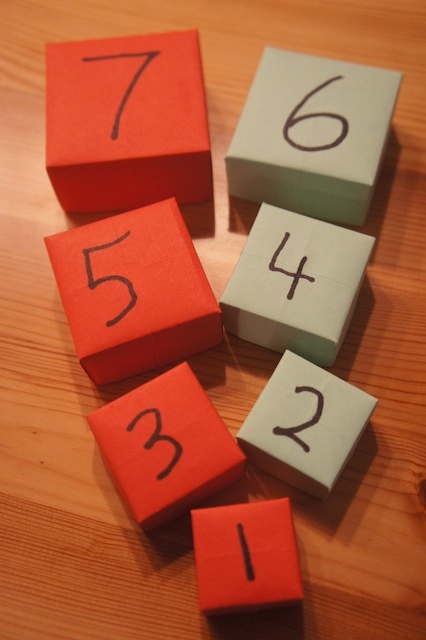 On the backs I wrote the numbers 1-7 to help my daughter learn her numbers (she knows them, just not the order…). 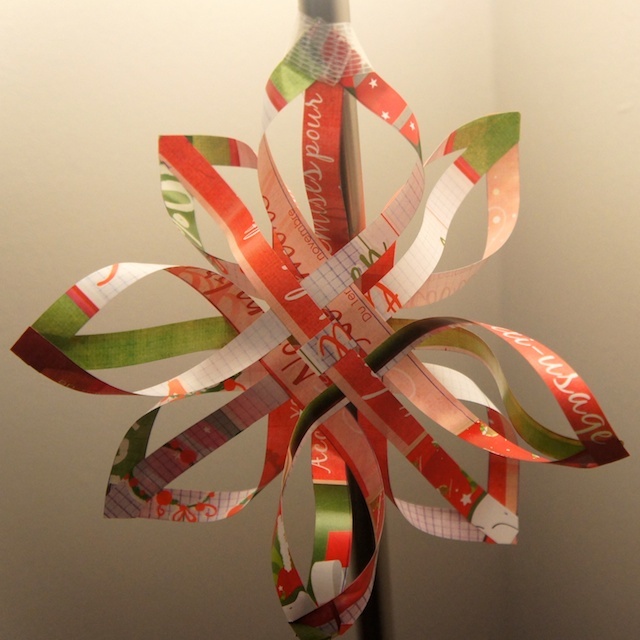 Done in Christmas colours, I finally broke down and bought some paper as I was getting tired of using advertisements. So far the boxes have been well received, being made of paper they won’t last long, but she’ll enjoy them while they last. 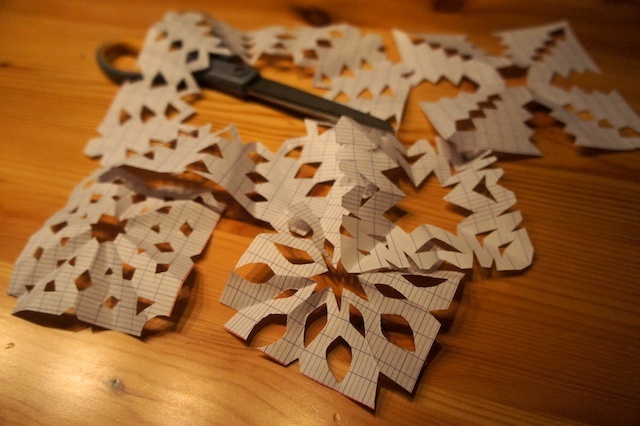 Day 4 – Well I couldn’t really do a Christmas craft advent calendar without some snow flakes…. 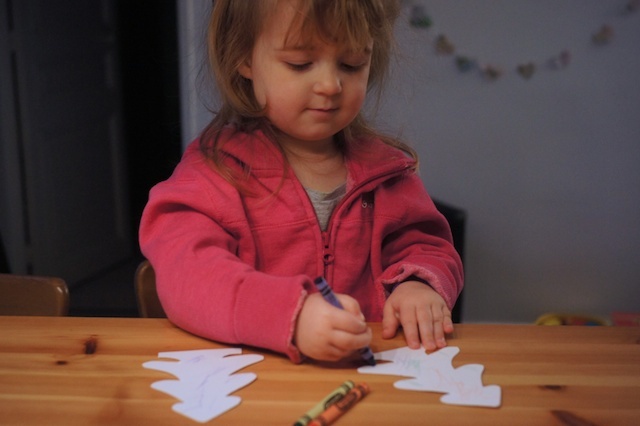 So today I made her a bunch of snow flakes to hang up in our window. 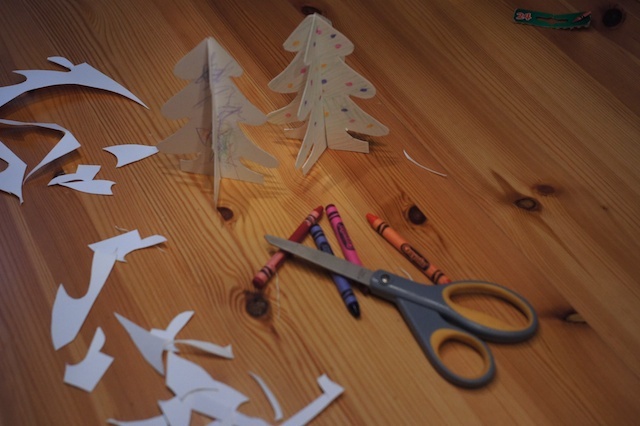 Adds to the decorations for the holidays and they were fun to make as well, never gets old. 52 Create, my weekly creative output for 2011. As I wrote on Day 1, I’m doing a “Craftvent” calendar for my 2 year old daughter. Simply put, it’s an advent calendar filled with crafts, all home made, many will be joint projects so she gets some fun of making stuff as well. 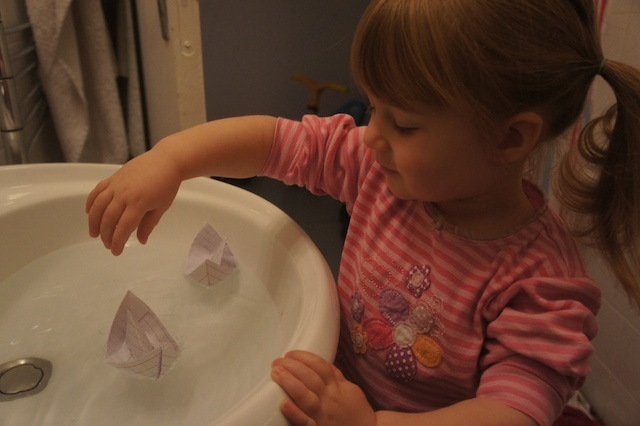 Day 3 – Today we made some toy paper boats. 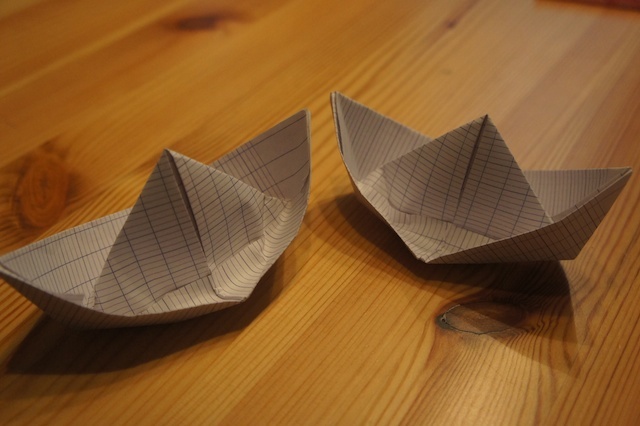 I had the idea from reading an old Curious George book where he is supposed to deliver newspapers, but instead folds them into boats and floats them down the river… We had good fun playing with them in the sink, they lasted about a day with a few “drying out” periods, but eventually the water tore the paper apart. Might try it with magazines next time as the paper seems like it would hold up to water better. 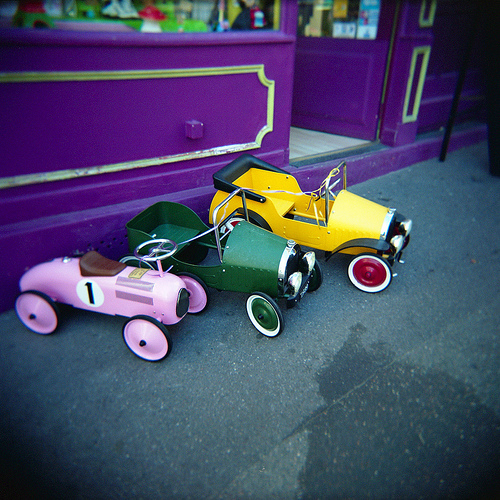 Anyways, this week’s photo is of some kid’s push cars outside a little toy store in Montmartre, Paris. It’s on the back side of the hill and I walked by one day and thought it would be a great shot to put up in my daughter’s room. I have some plans to make a wooden push car later this year as part of my 52 Create project. This picture will be put up this weekend on my Etsy site for sale, so head on over if you’re interested. Any of the pictures seen on my flickr site can also be purchased, leave a comment or contact me directly if interested.